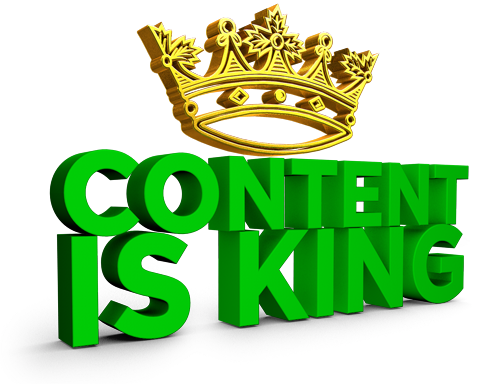 “Content is King” it is not a rumor it’s a truth, when we are talking about SEO its really seems as a king. If we talk about Google then it is soul of Google SEO. Before announcing that content is king SEO’s don’t think about content and copied contents are easily approved anywhere. But it is not easy these days. When you going to write any content there are many things that you have to follow. It is not important that what type of content you going to write it can a blog or easily a website content or it’s only a description, but if you want to publish anything you on internet and care Google then you always remember some points and always ask some question to yourself that…. · Does the content make sense? · Does your content having good grammar and punctuation? · Are the title you use is appropriate for your content? · Does your content useful? · Does you content unique and original? · Does it eligible for sharing and linking? · Do you properly describe you topic? · Does it have visual content, such as images or videos? · Do you use examples, references, and unique ideas in your content? · Does you content interactive with the readers? · Does it ask readers questions about their own experiences?